Your realtor is not the only one who employs salesmanship when selling a house. You have a role in prepping your house for sale, welcoming buyers to tour your home, and answering questions as they come up. Preventing buyers from getting on your last nerve while preparing for your own move can be a challenge. But if don’t follow certain protocol, a sale could be lost. 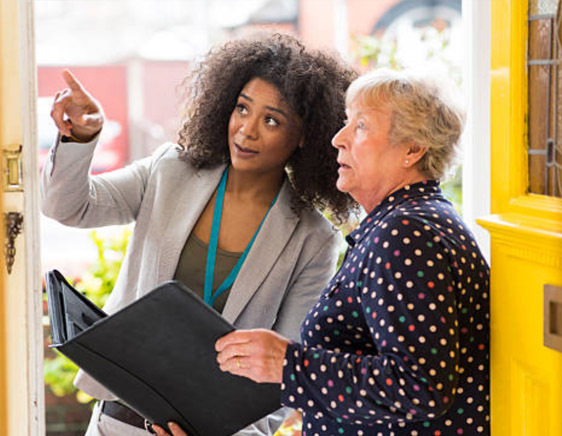 Follow these 5 home-selling etiquette rules to be a great partner to your listing agent, and avoid scaring off that special buyer. Keep in mind your agent is trying to sell your home quickly for the most profit possible. So if he or she recommends you make a few tweaks or fixes before listing your home, don’t be offended. You are on the same team. It is not a criticism of you or your home. A good realtor has insight on what most people in your market are looking for. 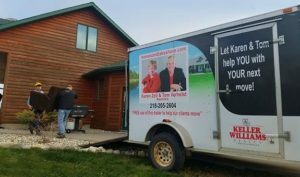 “It’s important to create a welcoming environment” explains Tom Verhelst of Keller Williams Realty Professionals in Fergus Falls. “It could be as simple as de-cluttering or maybe a bit of repainting, to help appeal to most buyers.” Tom’s wife Karen Zell- the other half of the Homes and Lakeshore Team is an expert in home staging. She works with clients in Fergus Falls, Battle Lake and throughout Otter Tail County, helping them take these important pre-listing steps. A low-ball offer is common, and the trick is to not get emotional. This is a business transaction. Even if you know the offer is nowhere near your number, don’t ignore it or get insulted. Low offers come in for all kinds of reasons- people might be testing the waters, or they may be a novice that doesn’t understand the offer might be insulting. At least keep the door open in case they want to come back with a reasonable offer. 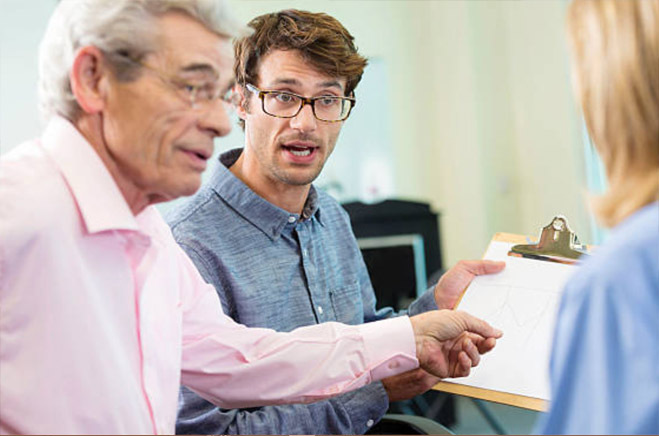 You never know…you might be able to close the gap and make a sale. If they are not serious, you will find out very soon. Most offers come with a deadline, but that doesn’t mean you should wait to respond. Whether you plan to accept, counter or decline, don’t keep the buyers waiting. Potential buyers are anxious to secure their next home. Don’t draw out the agony of waiting for a response- be courteous and answer as quickly as possible. 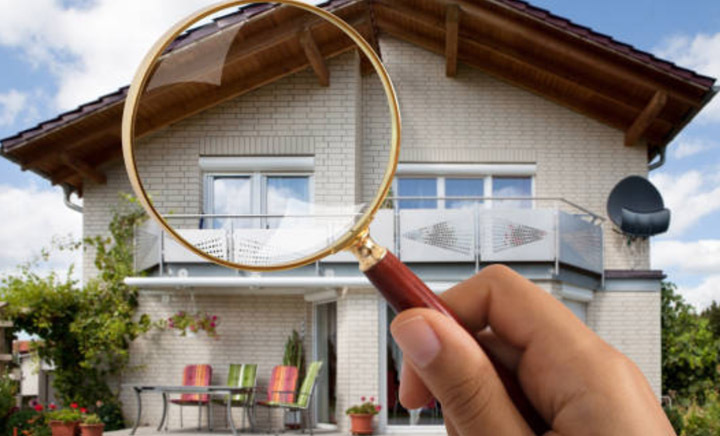 Once you’ve accepted an offer, the buyer will likely hire a home inspector to check out your house for any problems. It’s tempting to want to follow along- or heaven forbid, argue with the inspector. Don’t. It will only annoy the inspector and buyer, and possibly make you feel criticized when any deficiencies are mentioned. What you can do is have good records handy on all of the major systems of your house in case you are asked. When was the hot water heater or furnace replaced? How old is the roof? You may have this information in files or tax records. Pull info out in advance and make yourself a brief cheat sheet on your home. The buyer can and should be present. Make yourself scarce in another room. A friendly “I’ll just hang out here in the kitchen (or workshop, or office) until you have any questions for me” will go a long way in respecting buyers privacy and putting an inspector at ease. While it’s unlikely in a seller’s market to receive a laundry list of repairs, requests for repairs do happen, especially if a home has deferred maintenance. The buyer has a right to request repairs, or a deduction from the selling price. While you may not feel obligated to comply with every little thing, it’s also not in your best interest to reply with a flat “no” to reasonable requests that are turned up by the inspection, unless you listed the home “as is” or already priced it under market value to reflect significant repairs you anticipated it needing. Once an issue is revealed through the inspection, you can’t just ignore it. If the issue has a significant price tag, the buyer can back out of the deal if a concession is not made, and you will be back to square one in the sales process. You will also be required to reveal the flaw to future potential buyers. Weigh seriously if you want to let a few repairs keep you from the closing table. Before publicizing your home for sale, walk through potential scenarios with your agent on any items they recommend fixing. Following these tips will make the process to sale easier for you as the seller, and for your buyer. There is a basic protocol for home sellers that could really help make a sale. Or, poor form could result in losing a buyer. Fortunately, these selling hazards can usually be avoided.